Just letting you all know about Sharkamorlimans new image. So it looks like he’s gonna step us his game well see if this helps him. Who knows we can all use a new image. 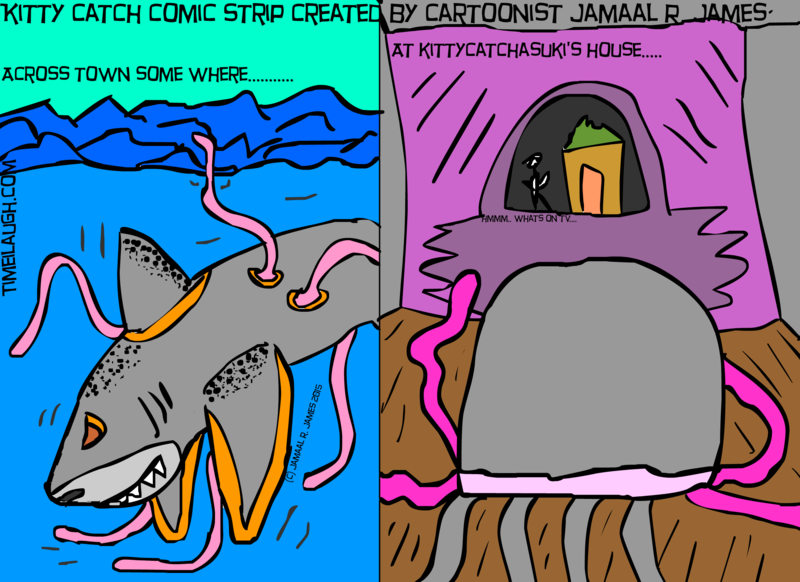 Kitty Catch Comic Strip created by Cartoonist Jamaal R. James for James Creative Arts And Entertainment Company. Sharkamorliman gets a makeover.